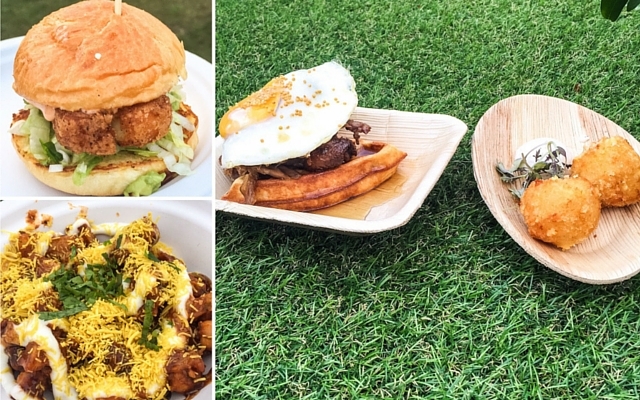 As a Londoner and a foodie, I’m ashamed to admit that I have never been to Taste of London. 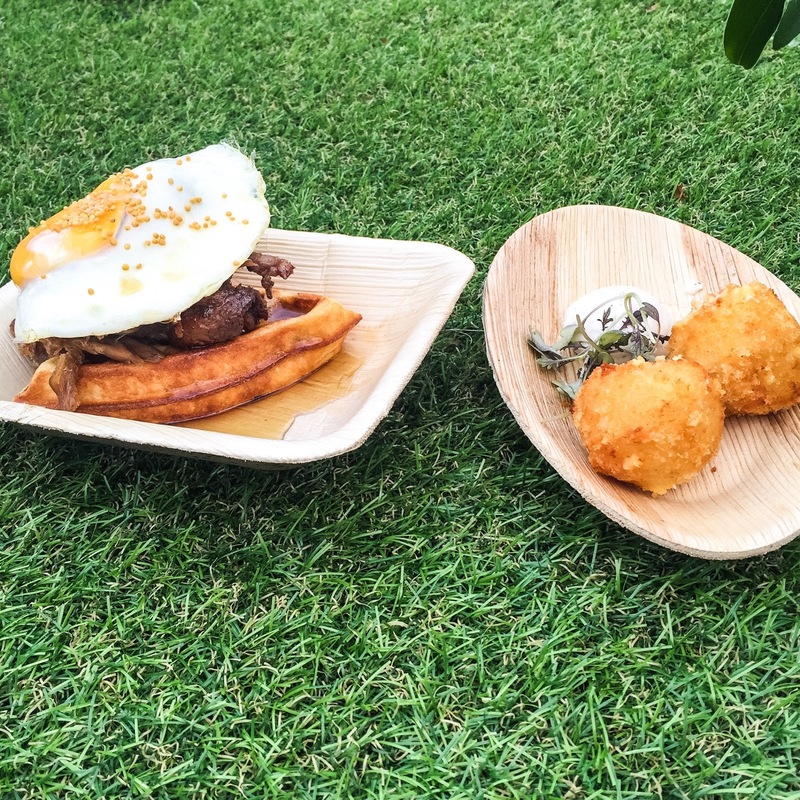 The first Taste festival took place back in 2004 and since then, it’s gone from Somerset House to Regent’s Park and grown into one of the highlights of the foodie calendar along the way. For the last 3 or 4 years, it’s been a must-visit so it’s pretty poor form that I haven’t found an excuse to head down. This year I righted that wrong and had the time of my life so I wanted to share my experience. Taste of London is kind of like a festival. Except it’s a celebration of the finest food London has to offer rather than music and the inevitable mud. This year, over 40 of London’s finest restaurants are taking part, including Duck & Waffle, Roka and Cinnamon Club. There is also a huge gourmet food market, interactive masterclasses, events and activities. Sounds like a dream. I visited Taste on Wednesday armed with a list and a ton of recommendations…well with that much food available, I had to be prepared! We eased into the evening at the Laurent-Perrier Club House with a glass of champagne to devise a plan of action in pretty boutique chalet decorated with soft white furnishings, vintage furniture and lots of greenery. We opted to chill on one of the coveted daybeds. After working out a brief plan, we headed straight to Ember Yard to try the summer truffle, wild mushroom and pecorino croquettes with truffled aioli. I was a bit apprehensive as I’m not the biggest mushroom fan, but with that much truffle in one dish, I was confident that I would love it. The croquettes were golden and crispy on the outside and deliciously melty on the inside with just the right amount of aioli. Delicious. After Ember Yard, we headed to Trishna. I’ve never been to Trishna before but I’ve heard great things. The thing is, my bar for Indian food is very high – think high then raise it a little bit! My mum is Indian and a brilliant cook so more often than not, Indian restaurants always fall short. 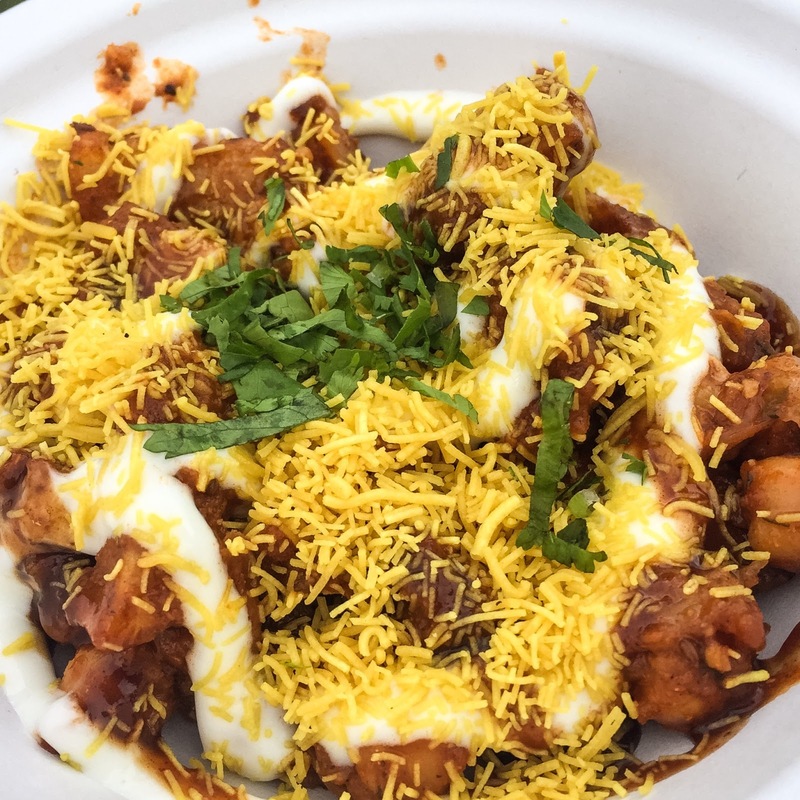 One of my favourite snacks is aloo chat; at home I’ll usually have three helpings…then maybe a little bit more later on. For those who have never tried aloo chat, it’s a lip-smacking mash up of potato, chickpeas, Marsala spice, tamarind and yoghurt. The flavours really contrast but also complement each other. Trishna’s version was utter perfection. It was so good I went back twice and I’m booked in to go to the restaurant next week, on the strength of one dish. I can’t wait to try the rest of the menu. From Trishna, we headed to my old favourite Duck & Waffle where I spotted none other than Executive Chef Dan Doherty working in the kitchen. I’ve never seen him work this hard! While the majority of people were using this opportunity to sample the famed signature dish, I opted for the Crispy Polenta, parmesan and polenta croquettes with black truffle. 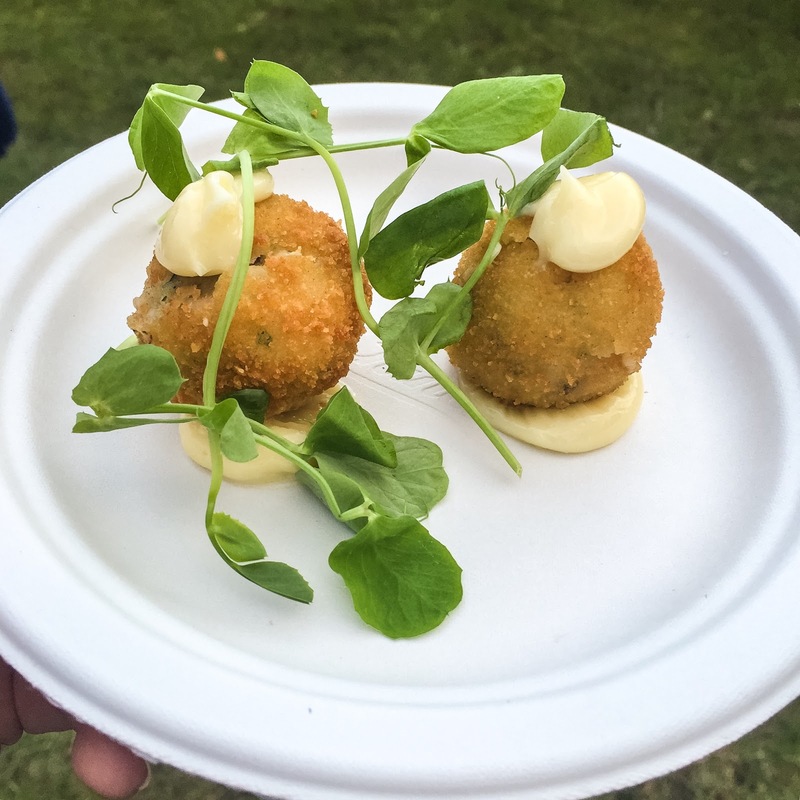 Truffle and croquettes seemed to be a mini food trend at Taste. The croquettes were lovely but I actually preferred the ones at Ember Yard by a whisker. The final dish I tried was the daily special – hand-picked each day by Joe Warwick. Butchies were the first restaurant to be picked and I opted for the Butchies halloumi slider with guacamole and smoked chilli mayo. It seemed that everyone else had the same idea as we had a 35 minute wait for the sliders after placing our order, by which point expectations were sky high. I’m pleased, and surprised, to say that the slider was phenomenal. Probably the best vegetarian slider I have ever tasted and more than worth the wait. They currently at Broadway market so keep an eye out if you’re around the area at the weekend…or go out of your way to visit them. You won’t be disappointed. 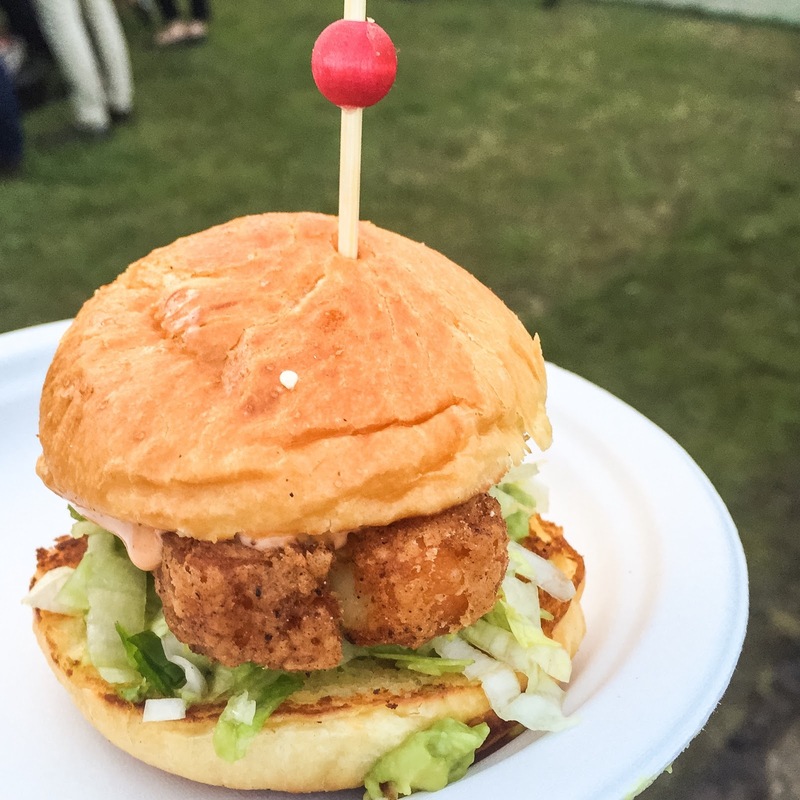 I am absolutely kicking myself for not getting down to Taste of London sooner. I can’t think of a better way to spend my evening than tasting dishes from the best restaurants in London while soaking up the sunshine. I will say though, as a vegetarian I was slightly disappointed that not all restaurants had veggie dishes. Props to the guys I visited for their scrumptious creations but it’s a shame that Cinnamon Club, Sushi Samba, Jose Pizarro and Roka among others didn’t cater for vegetarians. Despite that, I’m already looking forward to visiting Taste of London next year.